“Teachers are very important, teachers will shape a child to become a person with [qualities like leadership, integrity, and kindness]. 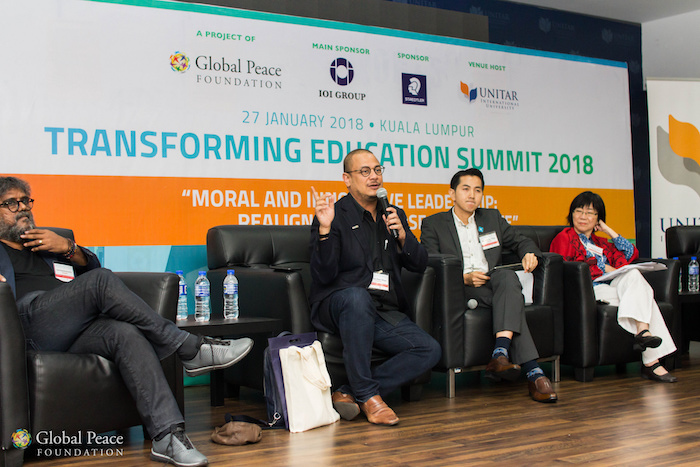 In that case, teachers must learn and accumulate knowledge from many sources [to shape themselves first],” said Chairwoman of Global Peace Foundation (GPF) Malaysia, Tan Sri Datin Paduka Seri Hajah Zaleha Ismail, at the Transforming Education Summit on January 27, 2018. Under the theme, “Moral and Innovative Leadership: Realign the Purpose to Educate,” the summit was held to provide capacity building opportunities and a leadership framework for the over 150 participants, highlighting educators as the driving force of education transformation in order to make an impact on their students. entrepreneurship, leadership, and digital learning. The summit is part of the Character and Creativity Initiative (CCI), which seeks to make education more relevant in the twenty-first century by integrating character and creativity into all aspects of school culture towards the development of the whole person. Launched in 2013, CCI in Malaysia alone has engaged over 10 schools and various cross-sector partners. The Deputy Minister of Education was present as well as representatives from the Ministry of Education. The summit also brought together entrepreneurs and corporate sector experts to offer their insight on how education can be transformed to nurture students with global competencies. Hasnul Nadzrin Shah, Director of Government and Regulatory Affairs of IBM Malaysia, was one of the high plenary speakers who stated that Malaysia's education is already on the right path, but it falls on teachers to perform minor tweaks and customize their teaching to meet the needs of their students. Anne Tham, Group CEO and Founder of ACE EdVenture Group, is an education reformist who pioneered Malaysia’s first entrepreneurial school and is passionate about injecting fun into teaching and learning. She emphasized that character and creativity should not be taught as a separate subject, but should be incorporated into academic subjects as a main component. Anne also said that it is important to cultivate leadership skills in all students. The education forum featured a panel of entrepreneurs, students, a representative from the Ministry of Education, and Google-Certified Educator, Nur Afiqah Suhaimi. 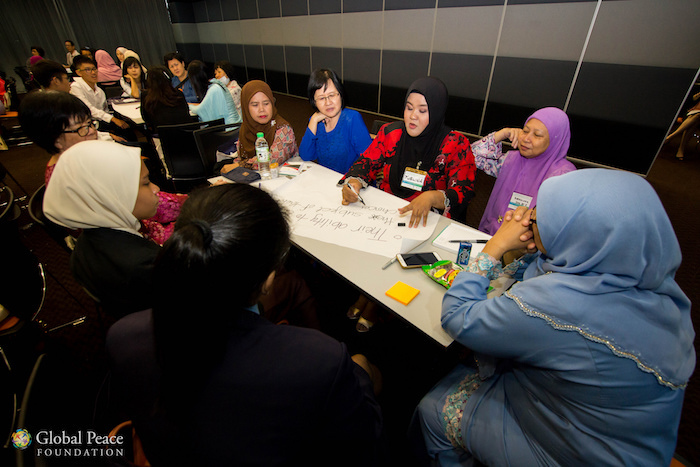 Nur Afiqah contributed her thoughts to how entrepreneurship, leadership, and digital learning can enhance learning outcomes. “Teachers are the front liners,” she said, following up with a call to action for her fellow educators to continuously seek out opportunities for capacity building and upskilling. Dr. Tony Devine, international Vice President of the Education Division of Global Peace Foundation, facilitates the Principals and Teachers Workshop on moral and innovative leadership development. Dr. Tony Devine, International Vice President of the Education Division of GPF, facilitated the Principals and Teachers Workshop that focused on transformative leadership development. The interactive session saw educators brainstorming in groups as they engaged and discussed on the characteristics of a leader, building a team that leverages each other’s strengths, and the importance of moral and innovative leadership in generating creative processes and highest contributions towards meaningful individuals and wholesome school culture. In the closing ceremony, Global Peace Malaysia’s CCI Program Director, Pick Ching, spurred the participants with a call for action to “Be Moral and Innovative Leaders” by cultivating moral values, leading by example, and encouraging new ideas through collaboration. This Educator's Summit was made possible by Global Peace Foundation and the IOI Group. 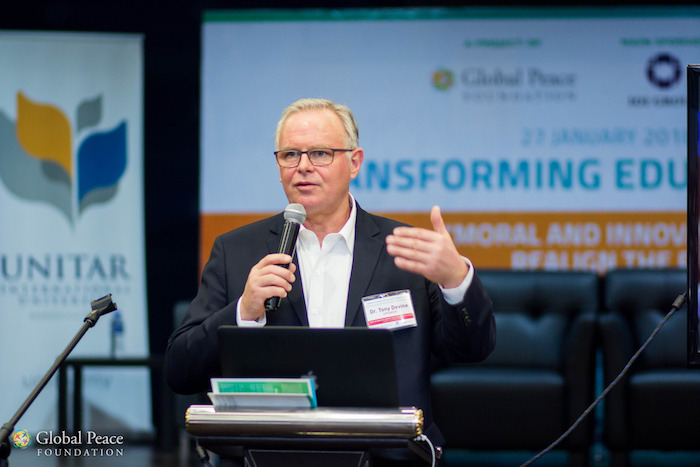 Sign up for monthly newsletters to stay up to date on how Global Peace Foundation is transforming education around the world.